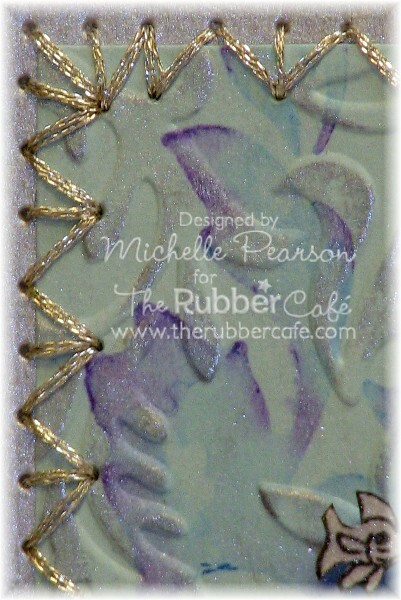 The Rubber Cafe Design Team Blog: Inspired! I have a Rubber Cafe creation for you today....and I have continued to be inspired by the Faber-Castell/Rubber Cafe combination. 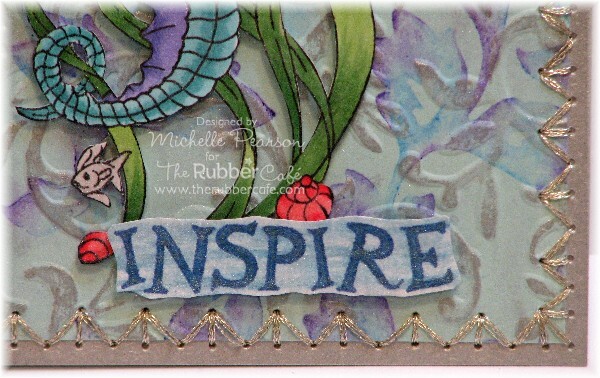 If you follow my blog...you won't be surprised to see the Leaf Swirls image in use again. You might guess...my desk is a mess...and my goodies were right at hand! I tried a third technique using the Gelatos...and this time I lightly misted my stamp, applied the Cotton Candy Gelato randomly and then touched the edges of the image with the Grape Gelato. 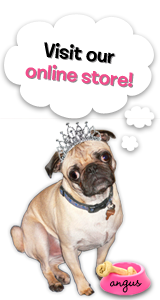 Mist the image lightly again and stamp onto your colored cardstock. Repeat as necessary to cover your panel. 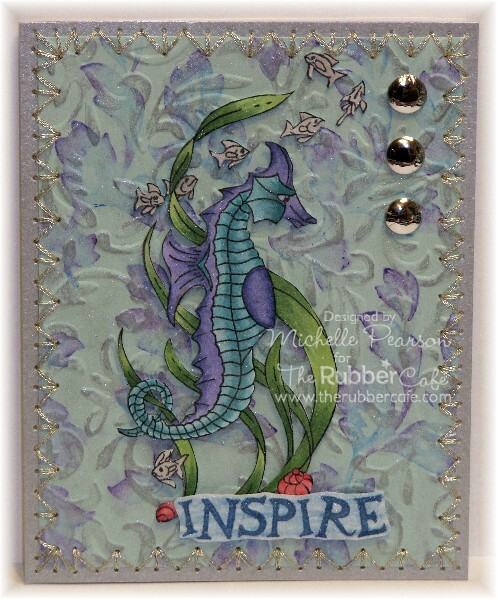 Next I ran the panel through the BigShot with a Cuttlebug Embossing Folder that mimics the design. I spritzed my craft mat with water and then dampened my Silver Gelato. I ran this gently over the embossing to make it pop. 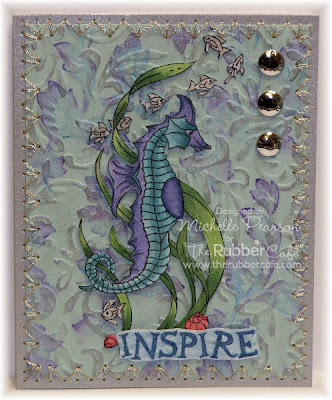 For some added interest, I used a simple Paper Embroidery stitch and some DMC metallic floss to attach my embossed panel to my silver metallic cardstock. I do not use a template for this...I just try to keep my holes evenly spaced. Inspire is from the Words of Inspiration image that I stamped up the other day using the Faber-Castell PITT Artist Pen Big Brush in Cobalt Blue and highlighted with the Faber-Castell PITT Artist Pen Blue Metallic. To achieve the watery look I brushed some of that Silver Gelato/water over it and it pulled the blues for a very fun effect! R35, R32, BG57, BG53, BV04, BV02, T2, G46, G43. After I colored the image with the markers, I then brushed some of that magical Silver Gelato/water mixture over them, giving the sea horse and fish and grass a subtle sheen. LOVE! 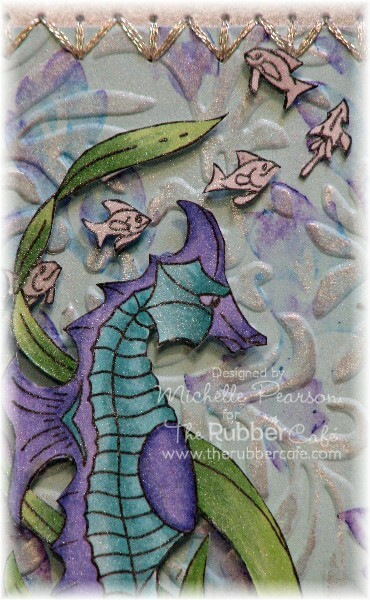 I finished off my card with some silver Candi embellishments. Hopefully with all of the lovely creations shared on the blog hop you will be as inspired as I am to play with Gelatos and Rubber Cafe stamps! Wow! Is this cool! You used my absolute favorite colors, which makes it even better! Another great technique with Faber-Castell -gelatos! Love the stitching too! So beautiful! Love the colors and that stitching is FAB! Love all techniques and the colors are outstanding!